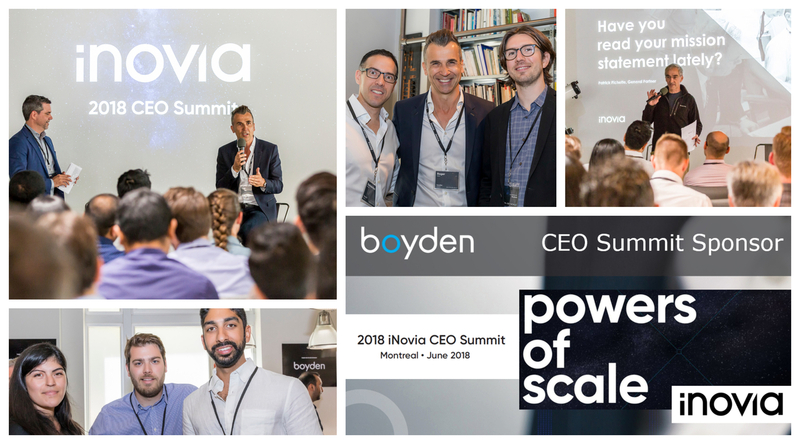 Held in Montreal, the 2018 iNovia CEO Summit will be filled with impactful presentations on relevant topics for iNovia CEOs building their companies. Apart from the main program, this highly anticipated two-day event will also include social and networking events for opportunity to connect in an intimate, conversational setting with other dynamic thought leaders from the Canadian and North American investment community. As a CEO Summit Sponsor, Boyden is committed to excellence in leadership and proud to support opportunities for these essential discussions and connections. Click here to read iNovia's CEO Summit Blog.